Glenfall School has strong links with Balcarras in addition to our secondary transition arrangements for year six pupils. Our staff literacy coordinators are involved in a literacy research project and members of our governing body are also Governors at Balcarras. Children from Glenfall regularly visit Balcarras to experience sports events, cookery and Balcarras staff regularly visit Glenfall to provide French lessons for KS2 as well as Science support and equipment. Glenfall has also benefitted from IT support and equipment from Balcarras. Glenfall has good links with St Edwards mainly through sporting events and competitions. Glenfall works closely with the University of Gloucestershire in the provision of student teach placements and mentoring. Glenfall pupils make regular visits to Nazareth house, for example the choir and orchestra provide residents with a Christmas Carol service every Christmas. Glenfall has active links with St Marys Church in Charlton Kings. 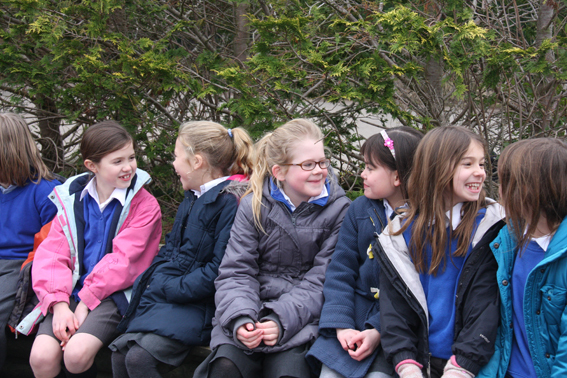 Children from key stages one and two regularly visit the church to learn about Christianity and the local area. Members of the church also visit the school each week for an `Open the Book’ assembly which is enjoyed by the children. With several parents as allotment holders Reception and Key stage 1 children are able to visit our local allotments to learn about growing vegetables and the seasons. Annually a Year 6 team participates in the Rotary General Knowledge Quiz. In 2014 and 2015, Glenfall won so hosted the quiz. As a reward for winning, the Rotary Club contributed to paying for a visit from the Life Education Bus, a facility used for educating children on keeping safe. Unfortunately they were beaten in 2016 by another local school. Glenfall will participate again this year and hopefully regain the title! Glenfall choir took part in this festival in May 2016, the first of its kind in Cheltenham. The Festival aims to entertain as well as inform people of all ages about childhood; its joys and challenges. The Festival seeks to provide a range of inter-active fun activities for children and families of different backgrounds and cultures. This is an opportunity for the orchestra to perform at events where children can perform to a live audience from the general public as well as parents and friends.